Get ready for the elections on May 19. Primary elections voting booths open May 19 at 7 a.m. 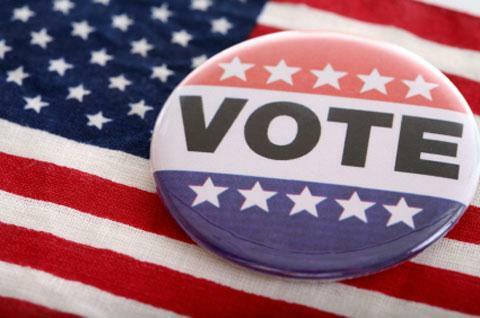 Tomorrow at 7 a.m. until 8 p.m. Philadelphians will be able to vote in the 2015 primary elections. Seats up for grabs include: the Democratic and Republican nominees for Mayor, City Council seats including our own 9th district, City Commission, Pennsylvania’s supreme, superior, commonwealth, common pleas and municipal courts, sheriff and register of wills. This section of Philadelphia has been noted for having a high level of voter turnout , so double check where your polling place is and get out to vote tomorrow. Click “read more” for a heads up on the ballot questions you’ll see in the voting booth tomorrow. Shall The Philadelphia Home Rule Charter be amended to call upon the Pennsylvania General Assembly and the Governor to abolish the School Reform Commission and return local control of Philadelphia’s schools? Shall The Philadelphia Home Rule Charter be amended to provide for the creation of a Commission for Women to be charged with promoting civic, educational and economic policies for women and providing advice and recommendations to the Mayor and City Council on policies and programs that advance equal rights and opportunities for women in the City? Shall The Philadelphia Home Rule Charter be amended to require all City agencies to prepare, and comply with, plans to promote access to City services, compliance with City law and ease of contact with, and participation within, City government for people with limited English proficiency? Shall the Philadelphia Home Rule Charter be amended to provide for the creation, appointment, powers and duties of an independent Commission on Universal Pre-Kindergarten which would recommend an implementation and funding plan for achieving universal high quality pre-kindergarten for three- and four-year-olds in Philadelphia without taking away funds used for existing education?